In 1985, at the age of just 24, Rowan co-authored the book Agroforestry in Australia and New Zealand. 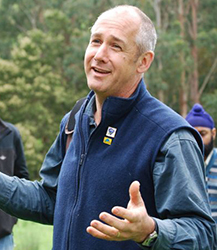 He has since been a leader in the development of agroforestry education and extension programs in Australia having developed the first undergraduate course in agroforestry in Australia and the very successful Australian Master TreeGrower Program. More than 2000 landholders and their supporters across Australia have completed the 8-day MTG course many of whom are now leaders in the development of multipurpose tree growing within their region and nationally. Rowan was awarded the 2000 Eureka Prize in Environmental Education for his work on the program. In 2007, Rowan extended the MTG program to include training for Peer Group Mentors, a concept first introduced by the Otway Agroforestry Network of which he is a founding member. After more than 20 years as an academic at the University of Melbourne, Rowan is now working privately on his own farm and as a consultant. He is also the managing director of the Australian Agroforestry Foundation which deliver the Master TreeGrower program around the world. Rowan is particularly interested in sharing ideas about how to involve private landholders in multipurpose forest management and the silvicultural management of forests on farms for high quality timber. Rowan has worked in many countries delivering training for professional and farmers and presenting at conferences and workshops. This includes ACIAR research in Indonesia, voluntary Master TreeGrower courses in Africa and East Timor and a sabbatical in North America. Rowan as authored many books, conference papers and scientific papers. 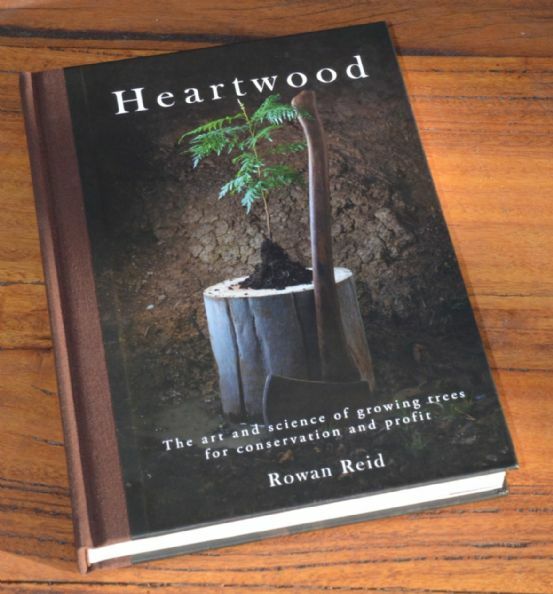 His latest book is: Heartwood: The art and science of growing trees for conservation and profit. Rowan (centre) and Andrew Stewart discuss the Master TreeGrower Program with the Hon. 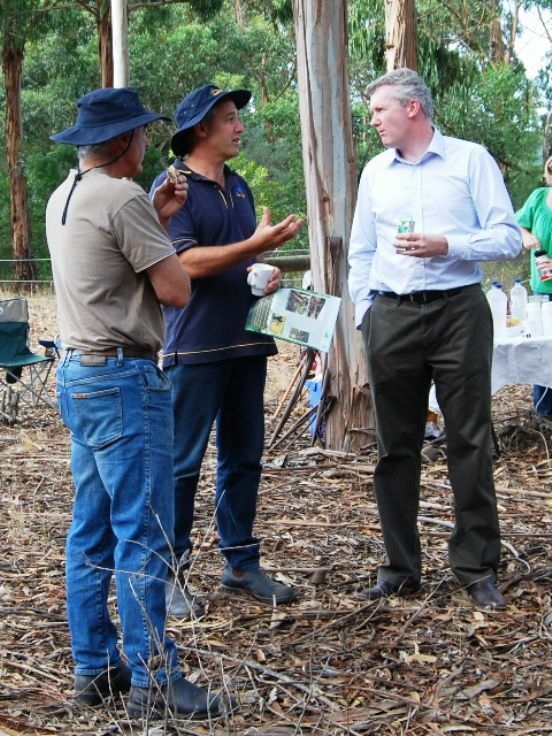 Tony Burke, Minister for Agriculture during a tour of Andrew's farm. Rowan running a farm tour at Bambra. Rowan also practices agroforestry on his own farm. 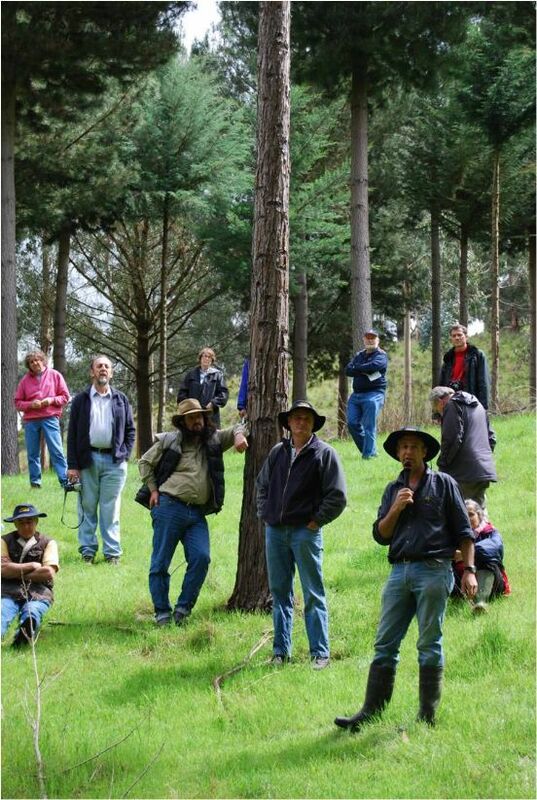 Bambra Agroforestry Farm provides the opportunity for landowners to see a wide range of tree species grown for timber, fodder, food and seed production as well as the opportunity for practical outdoor education. More than 10,000 visitors have been shown around the farm since 1987 including school groups, farmer groups, overseas tour groups, tertiary classes and professionals. His research includes work on eucalypt plantation silviculture, buffer strips management, extension methods and landscape change. He has been the principal researcher on many competitive R&D grants totalling more than $1M dollars and has published in peer reviewed journals and research reports. Rowan conducts regular farm tours for groups and a series of public tours every Autumn. For more information LINK. If you have a quick question I'm happy to provide a response free of charge (see Ask Rowan). If you are seeking something more please contact me. Yield assessments and economic evaluations/predictions.